The Bontrager Travel Charger bicycle tire pump is your confident companion when traveling with your bike. 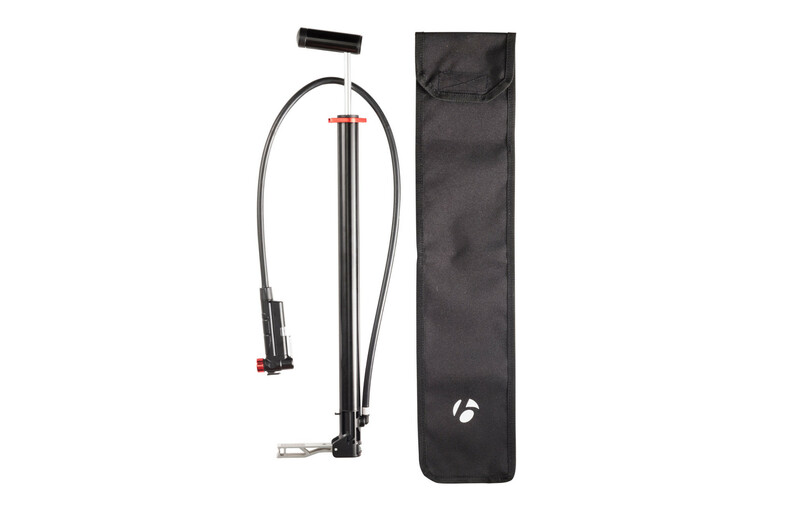 This high-volume pump and its protective storage bag eliminate the need to drag along your large standard floor pump. A stabilizing foot unfolds from the side of the pump, and the long, flexible hose eliminates broken valve stems.